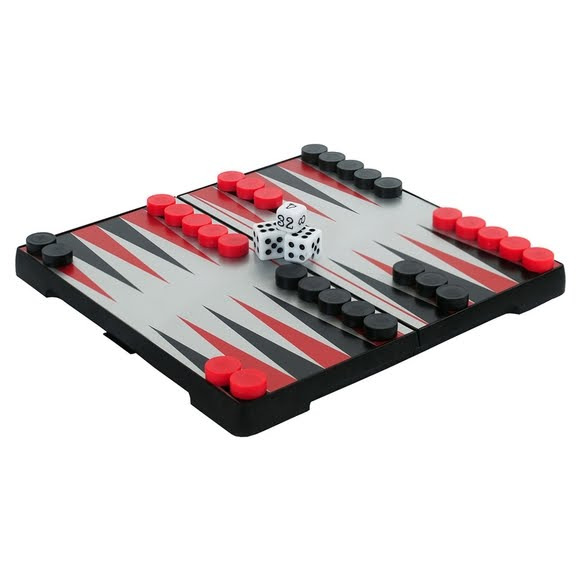 Packable strategy games such as this GSI Outdoors Backpack Backgammon set are designed for gamers on the go. Sleek and compact, this foldable game board is portable while offering clever storage for all the pieces. A great addition to anyoneÕs travel-game collection, this set utilizes magnetic game pieces that keep everything attached to the board while keeping you focused on your next move.